and upon those in tombs bestowing life. Each month we hope to highlight the memory of a departed parishioner or friend of St. Nicholas Cathedral. If you have a loved one or friend that you would like to have featured, please send a short biography with their contributions to our Cathedral life, no matter how great or small - with a digital photo if available - to Lisamik56@gmail.com with the words "Memory Eternal" in the subject line. Please include the date and year of death, as we will try to highlight the departed around an anniversary. Olga Lyerly was born on December 24, 1925, the granddaughter of Russian immigrants. She joined St. Nicholas during Lent in 1980. At theCathedral, she was well-known for her participation in the choir, her work selling used books at the bazaars with Anna Yaremko, and for her "from scratch" borsch recipe. Her son, John Christopher (Chris) Lyerly, taught Sunday School at St. Nicholas for many years and now attends St. Matthew Church in Columbia Md. In 1996, Olga suffered a cerebral aneurysm which left her incapacitated for the next 18 years, until her death in February of 2014. 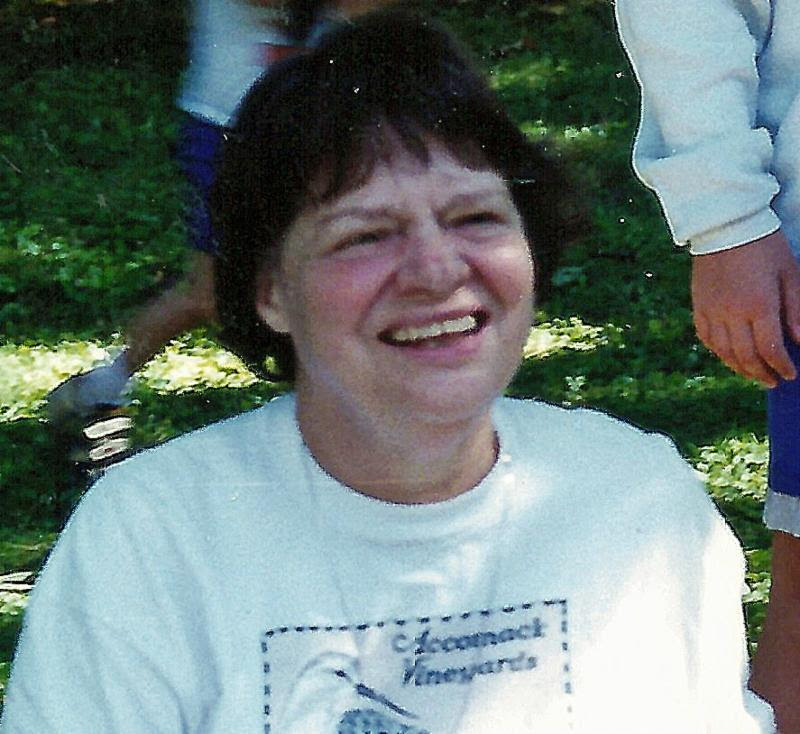 Her funeral was held at the Cathedral, and she is interred at St. Paul's Rock Creek Cemetery, next to her parents. David Burwell (1947-2017) will be remembered as a visionary, a passionate environmentalist, and a tireless advocate and strategist for transportation and climate policy reform, whose mission was to improve the world. After graduation from Dartmouth College he attended the University of Virginia School of Law. In 1986, David co-founded Rails-to-Trails Conservancy (RTC), a nonprofit organization that led nationwide efforts to convert unused railroad corridors into public trails and parks. By this vision and transformative work, he left behind a legacy of 22 thousand miles of rail-trails benefiting thousands of communities throughout our country and laid a foundation of support for converting greenways in other countries. David was baptized into the Orthodox Faith after his marriage to Irene Ovchinnikova Burwell. It was a deep friendship with Archbishop Anthony (Cheremisov) of Oryol which had a major influence on his decision to convert to Orthodoxy. Fr. Dmitry Grigorieff, who became a close friend, celebrated David's funeral service. Fr. Valery Shemchuk performed the sacrament of chrismation and became David's spiritual guide and confessor. David fell asleep in the Lord in his home on February 1, 2017, after a three-year battle with acute myeloid leukemia. He is remembered by his wife, son, a sister and a brother, and three granddaughters, as well as many friends and colleagues whom he mentored to established outstanding careers in public service. Dolores “Dee” Krisa (Nadezhda) was born June 27, 1930. She came to St. Nicholas shortly after graduating business school and joining the CIA in 1949. At the time she came to the DC area, she lived with the Danilucks (Helen and Serge of blessed memory). In 1952 she married Walter Krisa. The two of them attended St. Nicholas whenever in the DC area. Both were employed by the CIA and served many overseas stations while raising three children, Stephen, Keith and Claudia. Upon their retirement from the CIA, Walt was awarded the Silver Medal for Intelligence and Dee the Bronze. At the Cathedral, they were known for their pierogie workshops, contributions to many bazaars and as members of the Dormition Guild. Dee was originally from Pennsylvania and is buried at St. Tikhon’s Monastery next to her beloved husband Walter. Dee passed away January 18, 2014. May her memory be eternal. Olga A. Mikhalevsky was born in August of 1914, in St. Petersburg, Russia and, following the Russian Revolution, emigrated with her family to Lyons, France. The exact date of her birth, like many of her generation, was debated and adjusted for the difference in calendars. We celebrated on August 11 of the “new” calendar. She married her husband on Valentine’s Day of 1934 and followed him to the US shortly thereafter. They resided on Staten Island for about 10 years, moving to the Washington, DC area in the late 1940’s. Following the move to DC, she began attending services at St. Nicholas. Olga served as Executive Secretary to the Librarian of Congress until her retirement in 1965, at which time she received a citation in the Congressional Record for her distinguished service to the Library. 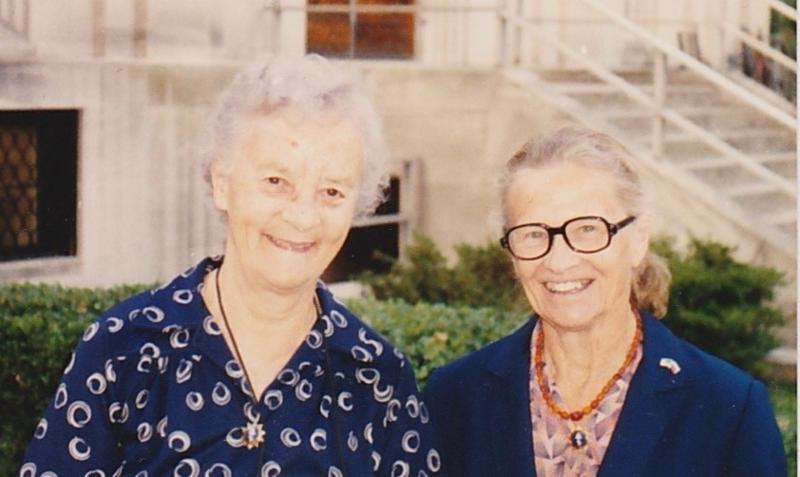 Following the death of her husband in 1982, Olga became a more active member of the Cathedral, working with Anne Kalish at the Baked Goods table at many Bazaars. Many of you will remember her pineapple cheese pies that were often sold out within a few hours! She was a member of the Dormition Sisterhood (Guild), often donating time baking and cooking for the Guild’s many events. Olga fell asleep in the Lord on March 28, 2009 and is buried in Columbia Gardens in Arlington, Virginia. May her memory be eternal. Video of Olga's story in Russian. Irina Stahovich was born on September 21, 1913 in St. Petersburg, Russia. She arrived in the US from LeHavre, France in the late 1930’s with her parents. She was a student at the time. Later she became a nurse and served in the US Army, with duty stations in Germany and Vietnam. Irina retired in the Washington, DC area and became a dedicated and valuable member of Saint Nicholas Cathedral. She was an active member of the Dormition Sisterhood, later the Guild, and spent many hours working for the upkeep and good of the church. She was a regular member of the bazaar preparation workshops, making many a cabbage roll and gallons of borscht! She passed away just a few short weeks before her close friend Olga Mikhalevsky on March 2, 2009. May her memory be eternal! Note: Olga and Irina had many friends at the Cathedral, across all generations. In their later years, they and friends who included Matushka Galina (Grigorieff), Marina Grigorovich-Barsky, Julia Petrov, Nina Soukhanova, Katya Martinoff, Galina Tolliver and others, formed a social circle. This group faithfully checked on each other daily and met regularly for lunches and teas. Most of these lovely women lived well into their 90’s and some to 100! The last survivor of this group, Marina Grigorovich-Barsky, passed away just a few months ago. May all of their memories be eternal! Helen Rohal Oleynik was born April 15, 1921 in the steel town of Carnegie, Pennsylvania. Her early years growing up during the Great Depression forged her character and set her on the path of service to God, her country, family and friends. Her formative years were influenced by the blue collar industrial world that was Pittsburgh in the ‘20s and ‘30s. As the youngest of eight children, Helen was shielded from some of the harshness of the day-to-day fight for survival in the lean times following the Great Depression. She maintained an appreciation for simple things throughout her life. When the country called, Helen answered. She joined the US Women’s Army Corps in 1943 where she served throughout WWII as an intercept radio operator in Petaluma, California. On a weekend visit to San Francisco, Helen met S.Sgt Vladimir Oleynik on her first and only visit to the choir loft at Holy Trinity Orthodox Cathedral. They courted while both were stationed on the West Coast and married after returning home in 1947. Helen was a consummate homemaker, raising a family of three Baby Boomer boys, Gregory, Nicholas and David. As Vladimir’s career took them from Washington, DC to locations across Ohio and Pennsylvania, she lovingly maintained their home and warmly embraced each community. 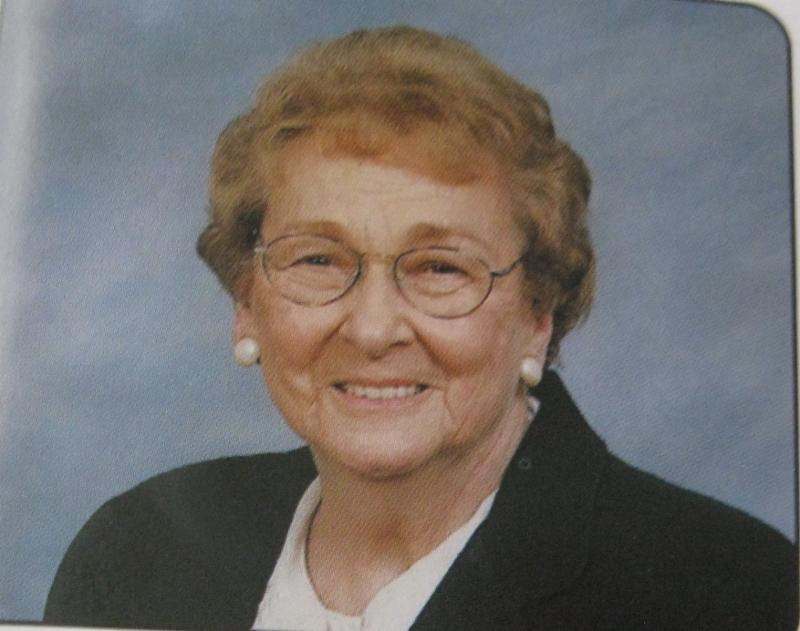 In each location, she became an active member of church communities including helping to establish Christ The Saviour Orthodox Church in Harrisburg, Pennsylvania in 1961. Throughout her later years, Helen enjoyed bowling in a local league, playing bridge regularly, and spending time with family. Beloved wife of 47 years of the late Deacon Vladimir Oleynik, Helen is survived by her three sons and by five grandchildren. Helen was a beloved and active member of St. Nicholas Orthodox Cathedral from 1967 until her passing in 2014. She was loved by so many in our community for her kindness, warmth and humor, made a mean pierogi and was a force for good at every step in her life’s journey. Mihail Golin, Army Sgt. 1st Class. Died January 1, 2018 Serving During Operation Freedom's Sentinel. 34, of Fort Lee, New Jersey, died Jan. 1 in Nangarhar Province, Afghanistan, after being engaged by enemy small arms fire while on a dismounted patrol. Matushka Lyidia Malasch - December 29, 1922 - January 24, 2017 - wife of the late Protodeacon Vladimir Malasch. Fr. Vladimir had been the Cathedral Protodeacon for 30 years. Father Dmitry Grogorieff - December 8 (priest at St. Nicholas Cathedral from 1969 to 2007) He was actively involved in the parish life since 1959. He was ordained a deacon in 1968 and a priest in 1969 by Metropolitan Ireney.